October 12 – Premier League Manchester City have partnered with top esports team Epsilon for the Gfinity Elite Series. As part of the partnership, Manchester City’s and Epsilon’s eSports rosters will form half of the teams’ FIFA roster with the remainder being selecting during the Elite Draft. 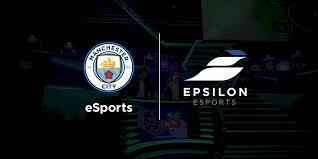 Manchester City eSports join Epsilon’s slot in the Elite Series to compete in the FIFA 19 category. The Gfinity Elite Series is played on Gfinity’s competitive gaming platform and attracts the world’s elite esports teams and players playing a suite of games including FIFA19. The FIFA game was introduced to the Series in 2018. The Series is in its fourth season and will have 10 pro teams in competition. Epsilon’s 2018 Gfinity FIFA performance saw them finish last in their group after failing to register a single win, though they finished in 7th place overall in the last Gfinity Series. The series returns October 26, running through to finals December 7-8. Manchester City’s esports footprint is growing beyond the professional players they have under contract. They will compete in the recently announced ePremier League, have an investment in the Chinese FIFA league and have a gaming partnership with Turtle Beach. Epsilon are headquartered in Brussels but have teams across Europe and have won numerous tournaments on Fifa, CS:GO, Call of Duty, League of Legends, Battlefield, H1Z1, as well as winning the 2016 SMITE World Championship.